Calle: How did you guys meet and can you give us a short history of the band? Marcus: Well, as a matter of fact and probably undeniable for us is that we’re heavily influenced by bands like Skid Row, Guns ‘n’ Roses, Tesla, W.A.S.P., Accept, Lynch Mob, Motley Crue, Dokken and Whitesnake. We all grew up on these bands and it’s deeply rooted in the five of us. And no matter how hard we try to sound a bit more modern we simply won’t succeed in this case J Okay, I’m just kidding...we also like a few modern rockbands of course, bands like Drowning Pool, Five Finger Death Punch, Soil, Disturbed, Stone Sour, Shinedown, Rob Zombie, Creed, In Flames, Nickelback etc. etc. also rotating in our players...and we all LOVE Pantera....but these are all just our influences we always...we always try to put some of our own style into to the mix which I hope anybody can hear specifically on our new album. Calle: How would you describe your music to people who haven’t heard The PUMP yet? 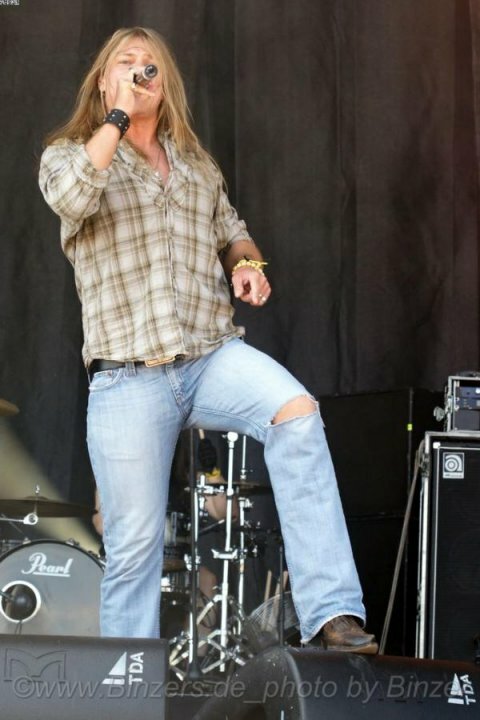 Marcus: Straight ahead Rock ‘n’ Roll...straight from the guts...pure and simple, intense and melodic! 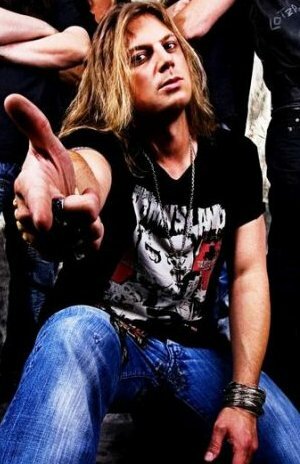 Calle: You released your third CD “Sonic Extasy” in 2009. How has the response from the critics been so far? Marcus: Oh, we absolutely had an amazing responsefor the new record so far, which was totally cool of course. Okay, there were one or two “not-so-brilliant” reviews…but you simply can’t suit everybody. Guess I think that’s just a normal thing. But the overall reactions were pretty amazing. “Sonic Extasy” really opened a few doors for us. Marcus: Actually most of the songs for the new album were already written by my guitar player Aki and me before both new guys joined the band. So Micha and Andy unfortunately weren’t that much involved in the songwriting process for the new album. But they helped a lot with the arrangements before finally entering the recording studio. 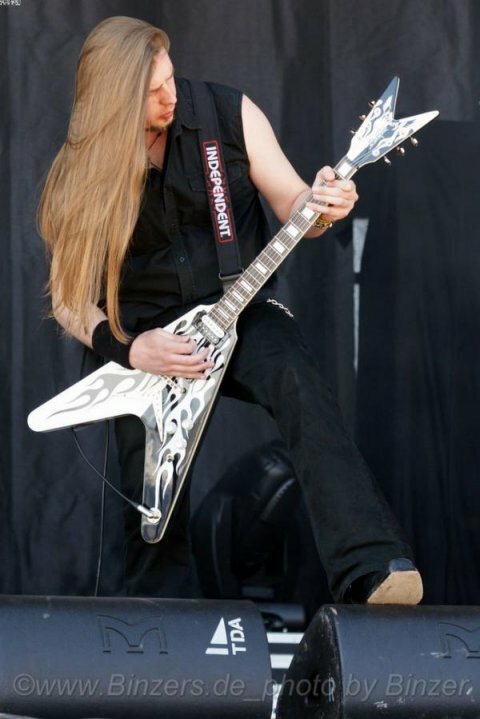 Stef, the lead guitar player on that album has also contributed two songs for the new record. All in all I can say that producing that album was definitively some kind of teamwork. We did it together and everybody has contributed some important and creative input to it. But normally we prefer to work as a team and with the forthcoming record we’re already working on we will definitively getting’ back to this kind of working process. Calle: You worked with Tommy Newton as producer on the album. How did you get to work with him? Marcus: Well, actually we have worked with Uwe Lulis on the new record. Uwe used to be the guitar player and producer for Grave Digger for...I don’t know...most of their career as far as I know...he’s now in Rebellion. 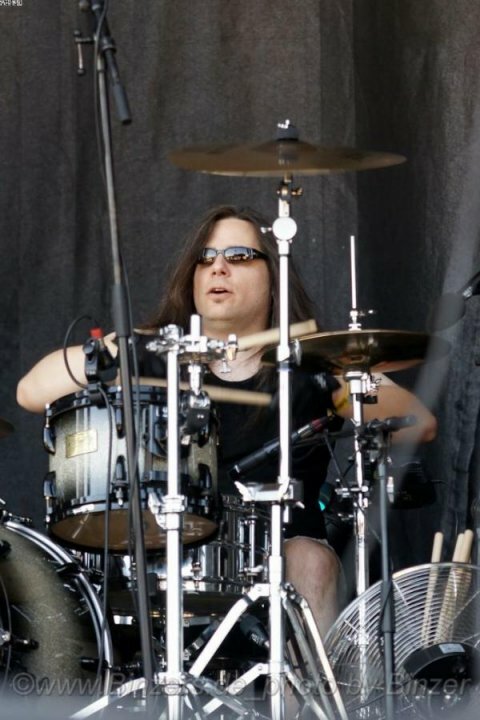 Tommy Newton produced our two previous CDs, “Against everyone’s advice” and “Breakdown to breakthrough”. But as already mentioned, for the new record we’ve secured the services of Uwe Lulis and his “Black Solaris Studios” in Frankfurt/Main. Working with Uwe was pretty cool...he’s a good engineer and really cool to work with. Very funny guy, always relaxed. Okay, from time to time he needed a little break and then he took a ride with his motorbike to make his head free again. But we had some good fun while recording the new album. Unfortunately he had this bad accident with his motorbike right before we wanted to start mixing the album. So we’ve waited for almost half a year. But his state of health didn’t get better at the time and so we decided to mix the record at a different studio which threw us back more than half a year and we’ve lost some extra money. This really sucked. But luckily he’s fine again. All in all it was a pretty good experience working with Uwe. But working with Tommy was also cool by the way. We thought it was time to change a few things…I won’t rule out a possible collaboration in the near future. Marcus: Oh…that’s a tough question…well, I’m gonna pick “Testify”...I like my vocals a lot on that song. Well seriously...this song sounds a bit different than erverything we did before. I like that. This song is a bit more modern, but still “old-school” in some way. It has a pretty good bass line, a great chorus, cool vibe. But it’s still “PUMP”. It’s also fun to play that song live. 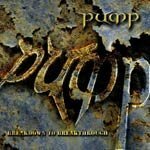 Personally I also love “PUMP-standards” like “Never”, “Low life in the fast lane”, “Ready, aim & fire” of course...but I like the fact that we did something different on that album, on a few songs at least. 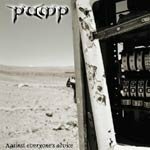 Other examples for that are songs like “Kiss of Voodoo” and “Long road to nowhere”. They’re really cool too, because they’re different than something we did in the past. I’m very proud of that. 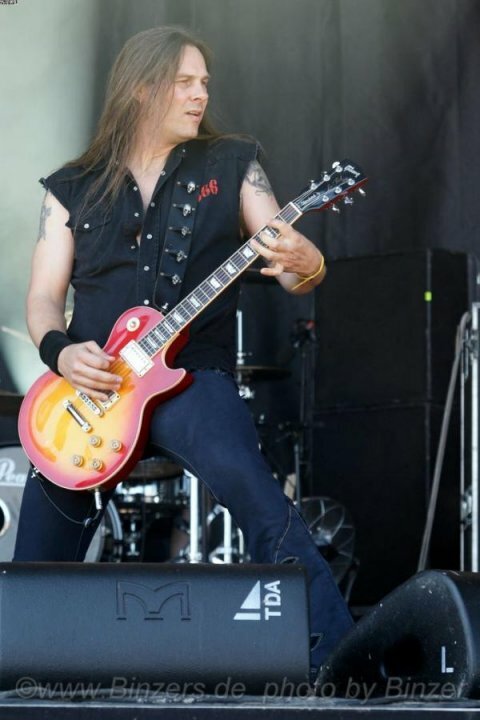 Calle: You’ve played with bands like Harem Scarem, Queensryche and Dokken. What other band/bands would you like to share a stage with? 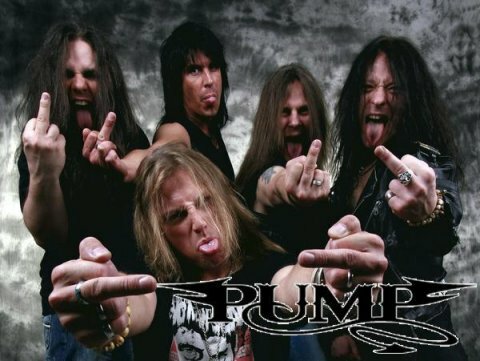 Calle: What can people expect when they go see PUMP live? 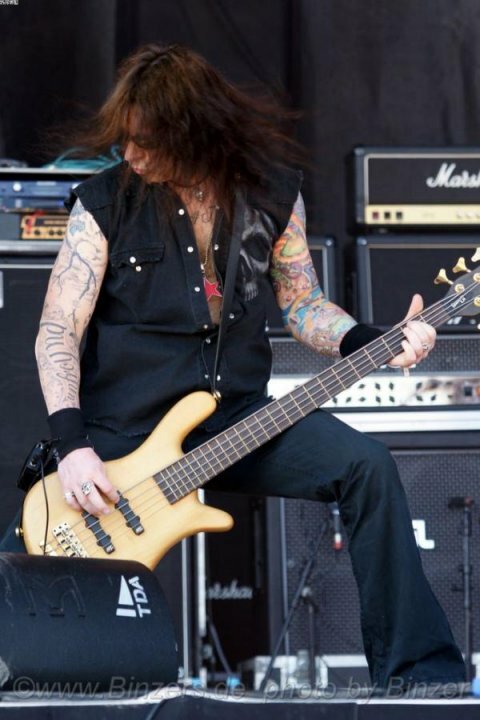 Marcus: Hairs...sweat...boots...wild and wicked stage antics...basically everything you need to see at a cool Rock’n’ Roll show...check our some live clips of PUMP at our myspace site...that’s PUMP live!!! Marcus: Well, okay...a Rockband passes through a lot of experiences while on tour...and so did we. We definitely had our share of wild and crazy experiences. I actually won’t be remembered on some of them to be honest with you. But I’ll give you one funny story, maybe this could be interesting. Before we went out on tour with UFO in 2009, we had the opportunity to support UFO at a single show the year before in Nürnberg. Even on that single show we had some good fun with them because after the show the guys from UFO were running around backstage, all naked more or less and it felt kinda strange in some way. I have to admit that we didn’t know what to say in the first place. Guess we all expected a lot of hot chicks but all we’ve seen were a bunch of mature and naked men. And they were behaving like it was the most normal thing sitting naked in an armchair. As I already mentioned, at first glance we were totally speechless because it was so surreal. But on our way back home we wer laughing our assess off. Very Rock ‘n’ Roll indeed. One thing I also remember which was really crazy was on tour with Axel Rudi Pell, when our former guitar play Ulli fucked some chick at the central cemetery in Frankfurt...at night of course! We asked where the hell he was all the time because we were looking for him quite a while. He just said he was with some chick and fucked her....okay, we said...so far so good. But where did you go? And he just answered “I’ve been to the central cemetery”...”I just wanted to be alone with that chick”...We couldn’t believe it, but he really did that. Well, what a perfect place he had chosen at the time to do that...more quietness is simply not possible. I hope this story was crazy enough. Calle: How would you describe the German rock/metal scene right now? Calle: In what other countries outside Germany do you have a big fan-base? Marcus: Well, I suppose in Switzerland...we played a lot over there...as far as I know and from what I’ve heard the last couple of months...people always enjoyed our shows there. Calle: Do you have any plans on a tour in Europe or USA in the near future? Marcus: Well, no...not yet. 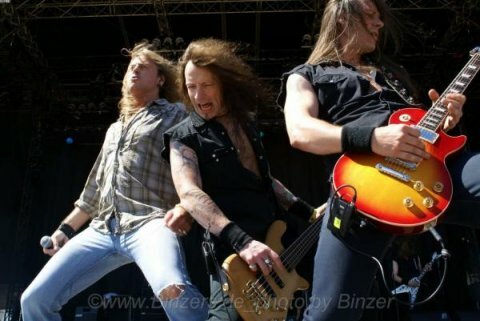 We’re just preparing to work on the pre-production for our new album which is expected for a release in Summer 2011. So we have no plans touring Europe at the moment. Well, “Sonic Extasy” and our two previous albums finally got an official release in the US and will hit the streets on December 7, 2010 through Jamsync Music/MVD Distribution. Our label there is working on a prober tour for us with some label mates next year. Let’s wait and see if this tour is gonna happen in the near future. Would be cool!!! Calle: Where do you see PUMP in 10 years? Marcus: I don’t know...who knows...??? Probably dead…J Okay, just kidding…we’ll try to have some fun as much as possible. I hope we’re still around in ten years...if not, we’re probably all ending up playin’ in some classic rock cover bands...that’s cool too. Marcus: Practise, practise, practise...you’ll just get a chance if you’re good live band. Everything else doesn’t count. Try to play live as much as possible, this will be the key to success in the very near future. Oh, may I name a sixth one...Ozzy Osbourne “No rest for the wicked”...that’s a really good and important album for me too...Cinderella “Night songs”, Ratt “Invasion of your privacy” ...okay...I’ll stop here...I told you that’s not possible for me to name just 5. Calle: What was the best concert you’ve ever attended? 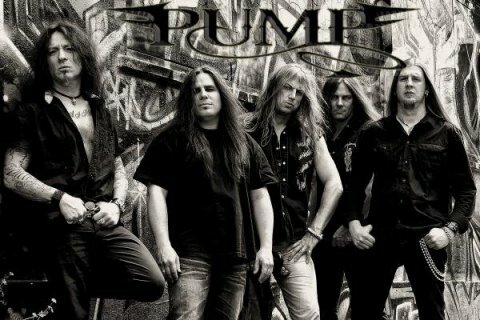 Calle: Have you played in other bands before PUMP? 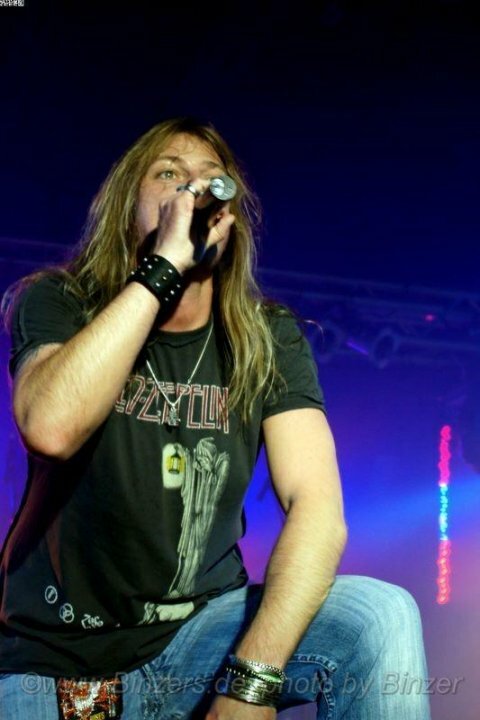 Marcus: Yes, I’ve been the lead singer for Brainstorm on their first two albums…”Hungry” and “Unholy” And a couple of demo bands throughout the years of course…but nothing worth to mention somehow. Calle: Can you name one thing that you think only German people do? Marcus: Alright, that’s a pretty cool question...Probably the best I’ve ever got for an interview...very funny! Well, I think it’s not wrong to say that probably, mostly older German people, wearing sandals and socks on the beach. This is really a German phenomenon only. It’s really easy to identify a German tourist in foreign countries. Marcus: Yes, thank’s to all of you still supporting real Rock music, and thank’s to everyone who already bought our new album “Sonic Extasy”...and if you don’t know us...and you’re into ROCK ...please check out our new album...you won’t be disappointed!!! PROMISE!!! Keep the spirit alive!! !